We’d love your help. Let us know what’s wrong with this preview of Paradise Is Where You Find It by Robert E. McGinnis. This book is the third of five in a series. These books offer many puzzling situations which become solved though both, natural intelligence and supernatural support. The reader gains greater insight into the characters of these books with each one that is read. 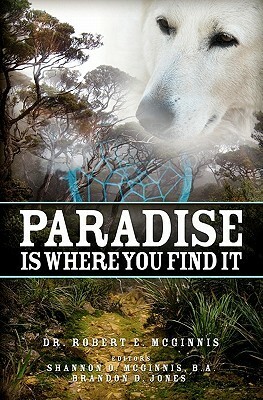 To ask other readers questions about Paradise Is Where You Find It, please sign up. We have to find paradise within, it can't be bought or sold. Life is for the taking, but we must make good and wise choices. There are many hidden messages within these pages for those that are willing to find them.